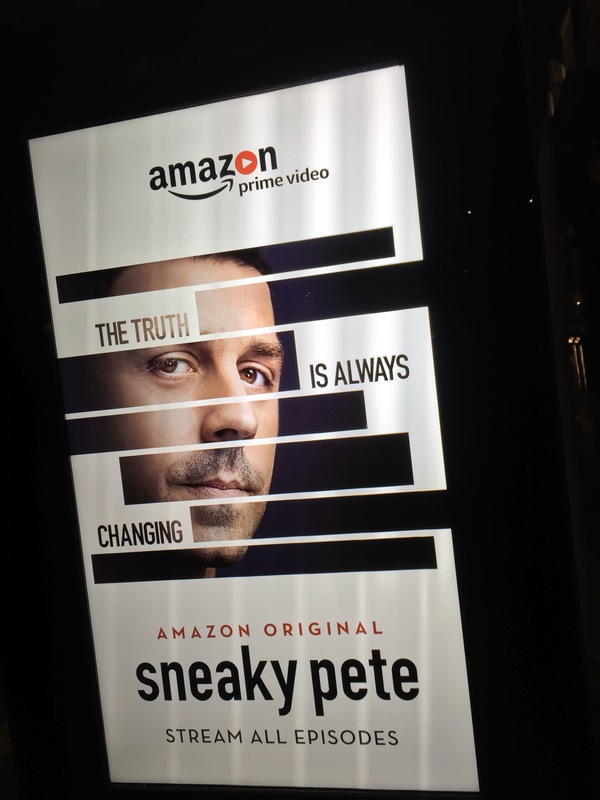 Heading home earlier I saw a bus stop signage advertising Amazon’s new series Sneaky Pete. We watched this over the past week or so, Bryan Cranston and Giovanni Ribisi amongst others. The premise is a con man takes on the life of his cell mate upon release from prison, but like most things, this doesn’t go as he’d originally planned. It was really enjoyable, the twists added to the drama, and both script and acting I thought were fantastic. 10 episodes, all streaming now on Amazon Prime – Definitely worth a watch!